Let us help you make your event memorable, provide your guests with favors they will cherish forever, and you won't miss any of the fun or memories! Guests will receive printed copies of their photos! We even have an option where you can add a scrapbook of your event and have a printed copy and message from your guests! 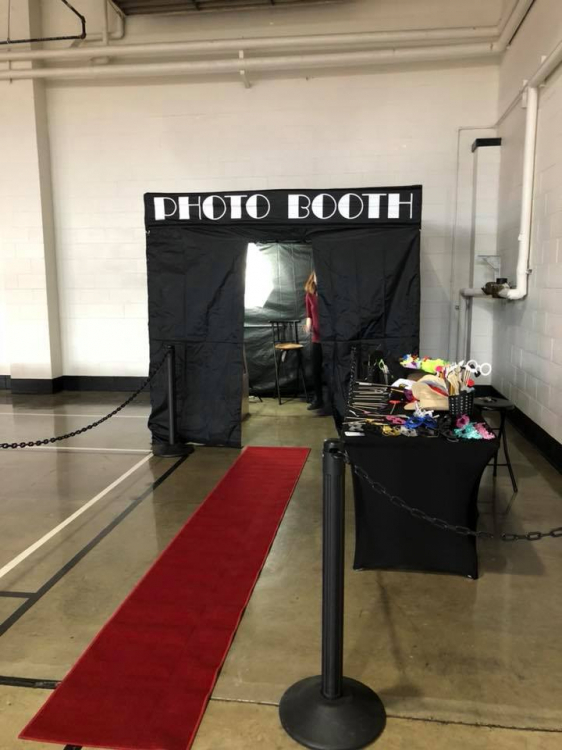 The Strip PhotoBooth can fit anywhere from 1 person to groups of people, including customizable screens and strips with the event image. This PhotoBooth allows sharing photos and video messages via social networks (Wi-fi required for social network ability). Base rental includes attendant and general props for 2 hours, unlimited prints and USB. We deliver, set up and assist your guests during your event. Set up time is done before your rental time is scheduled to start so you get the full time you reserve for. See Accessory Packages for various options. 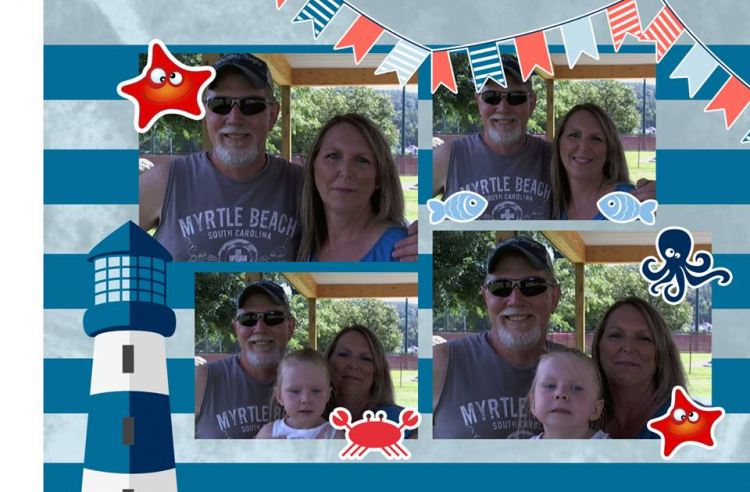 Each strip features 4 pictures of the participant or the fourth image can be customized for company parties, weddings, retail promotions, family or class reunions, church camps & events, prom, graduation party, birthday parties, fundraisers or any special occasion. All photobooths pictures are recorded on a USB key & you get a copy of every picture & video from your event. Wedding package addition to your photobooth rental provides you with wedding props, scrapbook with 1 of each photo strip and guests signature & personalized message.